RANGE 15 Designs: bat, cat, chicken, dodo, dolphin, elephant, frog, hare, owl, panda, penguin, pig, puffin, seahorse, sheep. 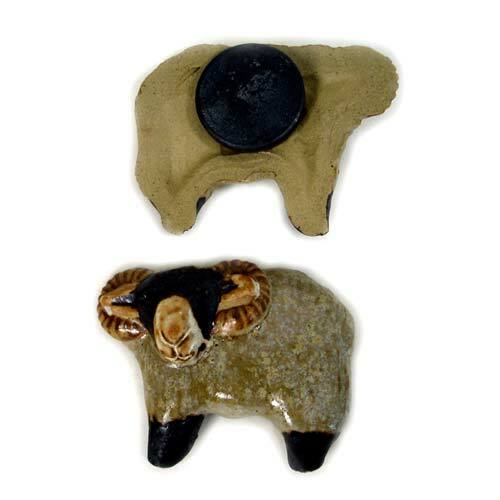 DESCRIPTION Novelty sheep ceramic design fitted with a large round magnet on the reverse. The powerful magnet is a large 3cm diameter disc held securely in place with epoxy glue. 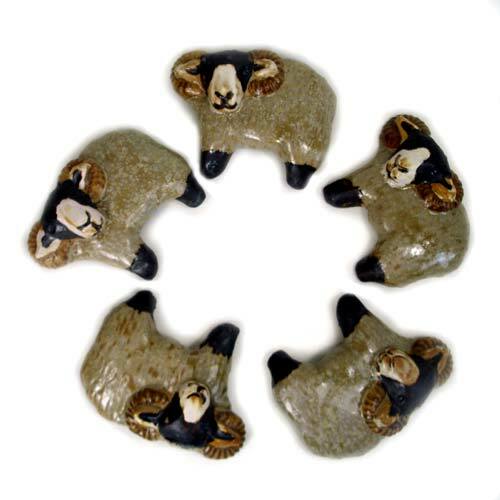 These little hand made designs are also frost proof and water resistant and can be used safely outdoors in a mosaic or cemented into a water feature.